This is Part 2 of our series on the coolest Kickstarter-funded robotics projects. 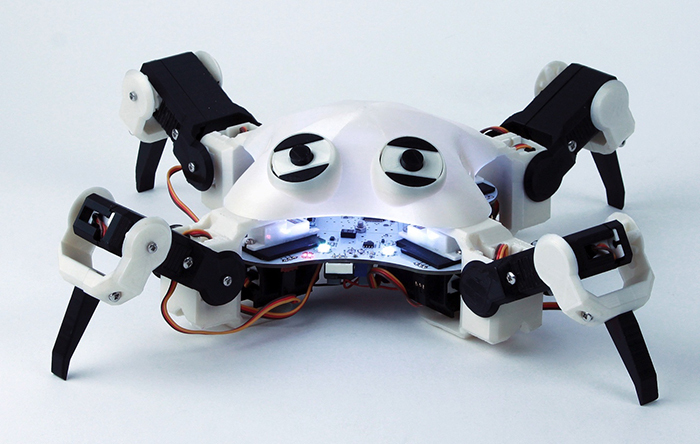 Quadbot is an Arduino-based, open-source, 3D Printable, programmable walking robot. It was created with the goal of allowing people to learn real skills that are applicable to robotics such as coding and electronics. According to EngiMake, the makers of QuadBot, the kits are perfect for anyone with an interest in robotics, whether they have advanced knowledge or are just beginning to learn. QuadBot’s Maker Kit is the bare-bones kit perfect for people with access to a 3D printer. 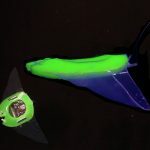 It is a low-cost option for those who want to print the parts on their own and redesign the body. QuadBot’s Full Kit, on the other hand, comes with everything necessary to assemble a QuadBot. It is slightly more expensive but comes with 3D printed mechanical body parts. 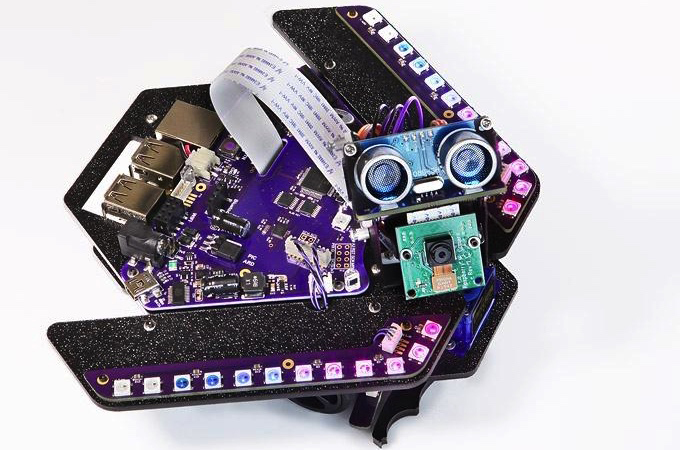 The Full Kit + Bluetooth includes EngiMake’s bluetooth module, which allows users to assemble QuadBot with wireless connectivity and remote control capabilities. 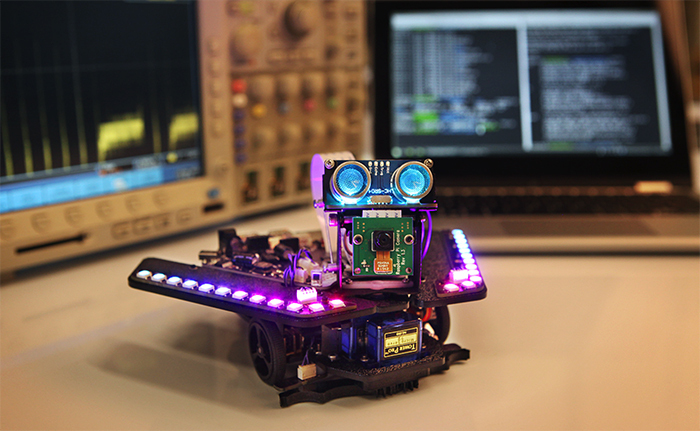 QuadBot is another open source robotics platform that is fully compatible with Arduino IDE, offering a simplified user interface and user libraries. Beginners can start programming using graphical blocks, but more advanced developers can dig deeper into C++ based code to customize QuadBot’s behaviors. For instance, QuadBot can be programmed to walk, dance, follow tracks, play songs and many more. The robots rely on a user’s iOS or Android smartphone to act “as the eyes and brain”, while the robot body acts as the “muscles being controlled by the phone.” An app uses computer vision designed for augmented reality to utilize the phone’s camera to detect where the robots are and the locations of their play objects and sends commands to the robot on how to interact with these objects in the environment. The bots_alive Base Kit comes with vision blocks for obstacle paths, IR Blaster for wireless phone control, and iOS & Android compatible app. It’s an option for those who already own Hexbug Spiders. 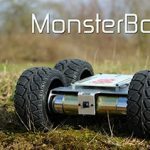 The bots_alive Complete Kit provides everything that’s needed to bring the autonomous robot creature to life, except a smartphone! This kit comes with a Hexbug Spider along with other components from the Bast Kit. 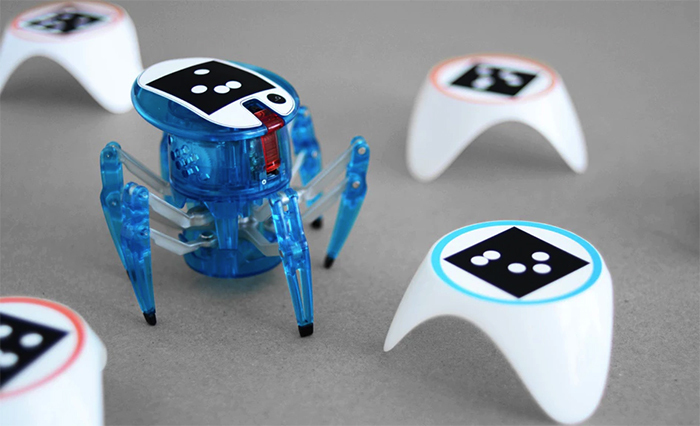 The bots_alive Double Bot Kit provides two Hexbug Spiders that can interact with one another, as well as the objects in their environment. 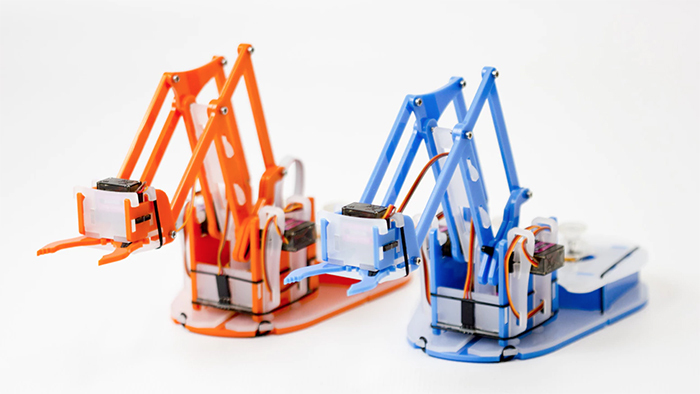 Developed by Mime Industries, MeArm Pi is an open source Raspberry Pi-powered robotic arm kit that is designed for all ages. The robotic arm is easy to assemble and comes with everything needed to get started, such as a Raspberry Pi HAT with two on-board joysticks, 4 metal gear servos, plastic parts for the arm, hex key, and more. MeArm Pi can be programmed using on-board programming or in-browser programming. There are multiple languages and methods supported (e.g., Node.js, Python and Ruby, Scratch, Perl, Java and Basic) that allow users to create different scripts and commands to control the MeArm Pi. The arm can be also controlled directly via Pi HAT’s on-board joysticks to allow users to manipulate the different servos of the arm intuitively. There are two different variations of kits available, one that provides all the necessary components you need to integrate your own Raspberry Pi with the kit and another that provides everything, including a Raspberry Pi 3. Spirit Rover is a desktop version of Mars Exploration Rovers “Spirit” and “Opportunity.” Inspired by the real Mars rovers, Spirit Rover is an endlessly customizable robot capable of remote control and computer vision. It is a great learning tool that offers an expandable and fully featured robotic platform for beginner to advanced developers. One of the unique features of Spirit Rover is that it combines the two most popular DIY platforms: a Raspberry Pi computer and Arduino-compatible processor. 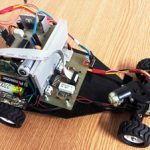 Spirit Rover can be programmed using Python and C/C++ on the Raspberry Pi or C/C++ on the Arduino IDE. In addition to those two popular boards, Spirit Rover also includes a Microchip PIC processor. PIC microcontroller is pre-loaded with code and “handles the low-level processing on the robot,” such as reading light sensors, sending pulse signals to the servos, and managing the power system. Users can start with simple tasks like reading a light sensor and move on to more advanced robotics tasks. 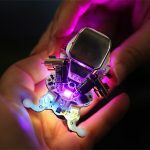 The Spirit Rover includes a 3-axis Accelerometer and 3-axis Gyroscope to sense rotation and movement, as well as 27 NeoPixel RGB LEDs that can be individually customized to display any color or brightness throughout the body of the rover (i.e., eyes, wings, etc). Equipped with Raspberry Pi camera, Spirit Rover has the ability to observe its environment for smart navigation. It also comes with a gripper arm that can be used to drag or grab small objects. The Pi camera displays the object being dragged or grabbed. Another unique feature of Spirit Rover is that it allows long-range networking between the robots using XBee modules. We hope you’ve enjoyed checking out these robot Kickstarter projects. 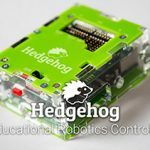 Make sure to check out some of our robot tutorials here!